As the kids had back to school, it’s a perfect time to get re-organized at home. With the busyness of the season, I know that we’re always looking for ways to spend our time efficiently. How about you? I cannot tell you how much Shipt grocery delivery has become our best friend. Colby and I can sit down the with girls on Sunday afternoon, meal plan for the week, and have our groceries delivered later that day. We don’t have to make a special trip to the store—two stores in fact—because we have a friendly, personal shopper that goes for us. One store carries out the bulk of our grocery needs while the other carries special products. One store is 5 minutes from our house while the other is 20 minutes away. 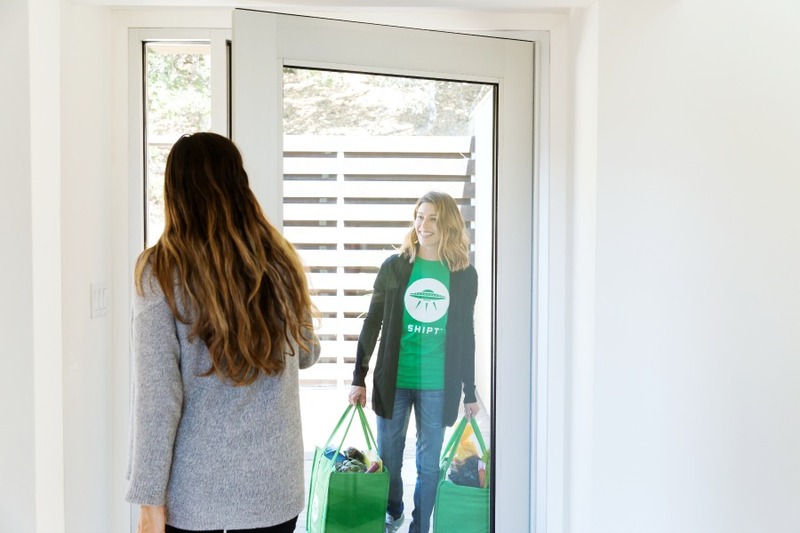 Our Shipt shopper goes to both and delivers everything to our door at one time—with a smile! You just can’t beat that! Not to mention, if there are any questions, substitutions, or out-of-stock items, we get a text immediately. For instance, we drink a vegan orange juice that is not always easy to find. We began adding specific instructions on where it can be found, and it’s delivered every week. You just don’t get this type of service with the store’s grocery delivery service. We know because we tried it before Shipt came to our area. Now, we are able to save both time and money using Shipt. Time because we don’t have to go to the stores, and money because, well, we don’t have to go to the stores. No more impulse buys! You are easily able to browse the store for products, add notes for the shopper, choose a one-hour window for delivery (up to midnight in our area), add “buy again” items from past purchases, and pay—all within the app! 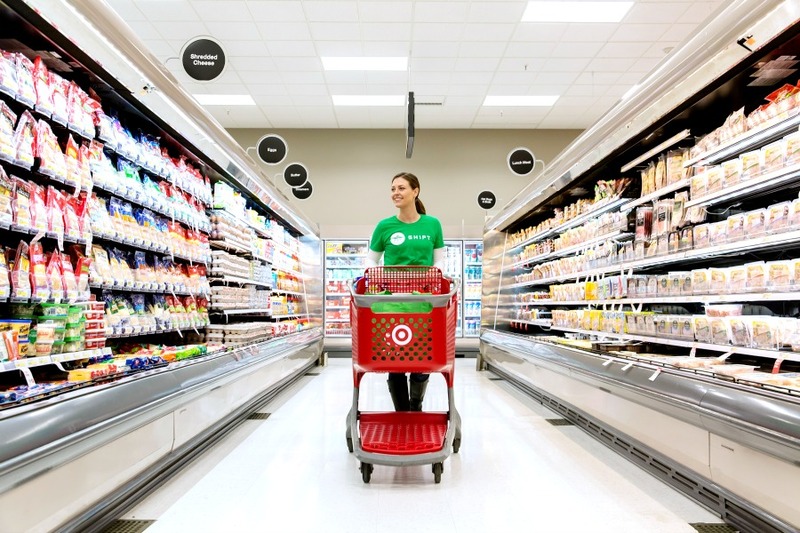 Plus, you can rate your shopper and leave them a tip after delivery. And with your Shipt membership, you get free, unlimited deliveries for orders over $35. We’ve already saved well over the cost of our membership in gas alone. Looking for healthy back-to-school ideas you can have delivered to your home with Shipt? Because we homeschool, we feed the kids all of their meals each day. This can cause burn out quickly if we don’t shake it up. Sandwiches can get old after a while. Not to mention, sometimes a hot dish is needed. Lundbergs convenient, vegan side entrees make a great lunch option for all of us. 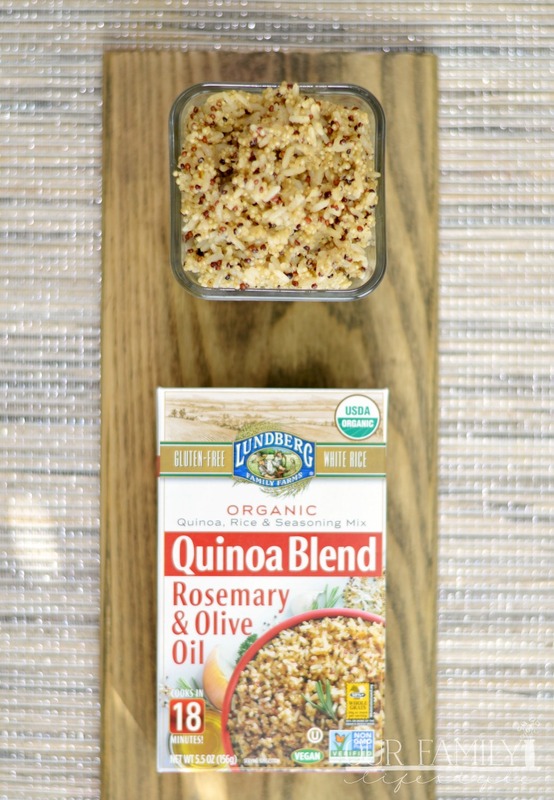 When it comes to snacks, again, we need plenty of options and healthy is best. Our girls like to snack while learning, so we try to keep organic snacks nearby. 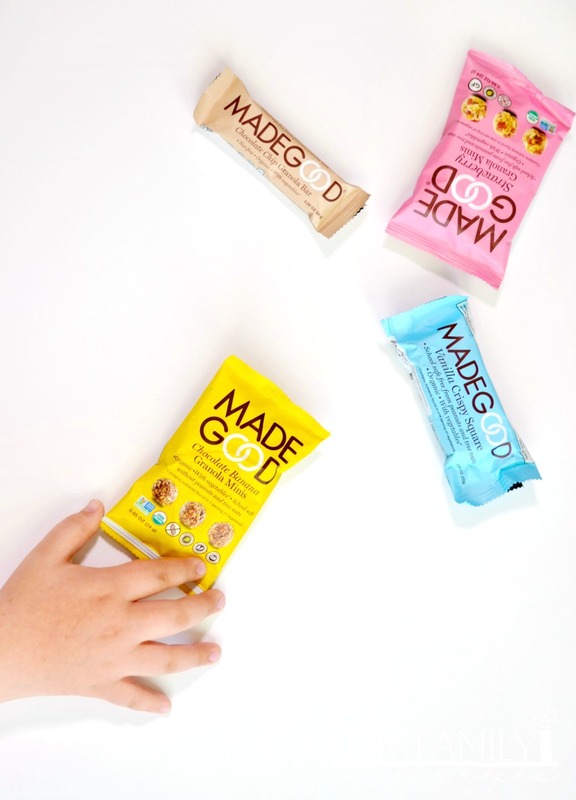 MadeGood snacks are organic, gluten-free and non-GMO project verified; perfect brain food for learning. Dinner is when we go all out for mealtime. All Pre beef is grass fed and delivered fresh from nutrient-rich pastures and with no added antibiotics or hormones. 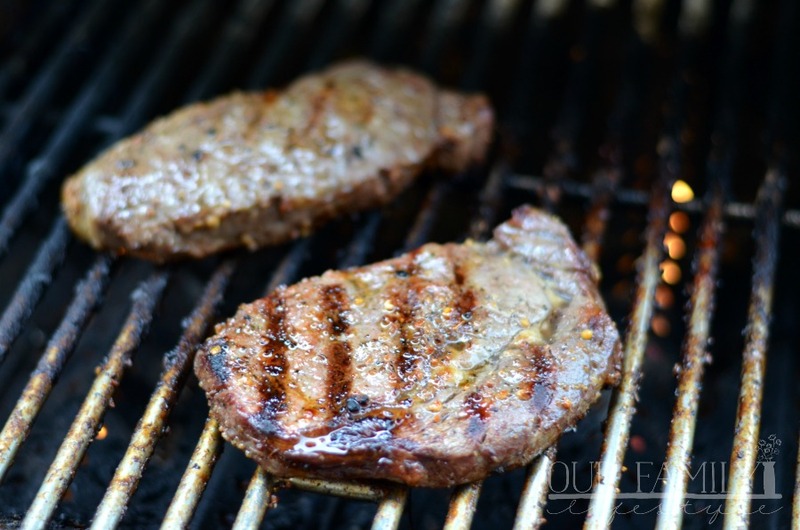 We decided to grill both Ribeye and New York Strip steaks and the girls loved the flavors. Buying grass fed beef online can be intimidating, but Pre makes it easy and you know you’ll receive a quality meat. Use this unique discount code for EATPRE to receive 10% off your order now through October: 7ONASHOESTRING. 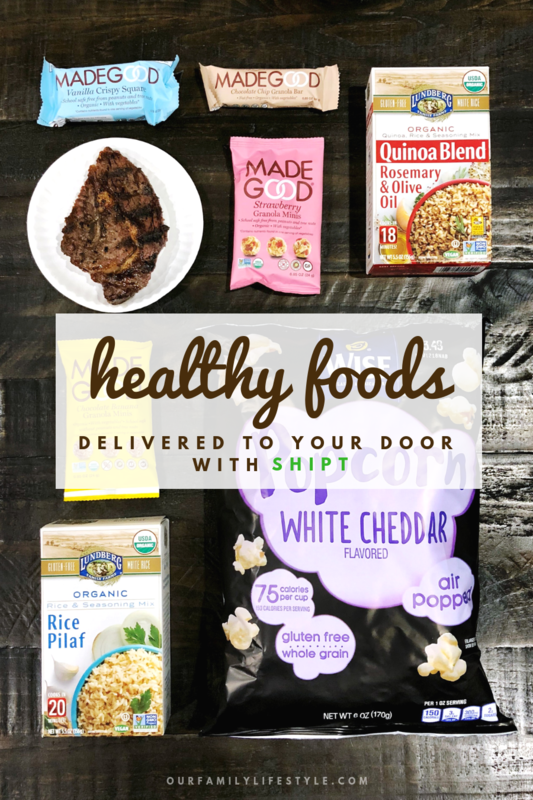 Ready to have healthy foods delivered to your door? Sign up for Shipt today and get an annual membership for just $49!